Dr. Alexander is a founding member of Inpatient Specialists, serving as President since 2007. 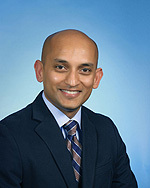 A graduate of the University of Miami Miller School Of Medicine, Jude subsequently completed a dual-residency in Internal Medicine and Psychiatry at Duke University Medical Center. He is currently Board Certified in Internal Medicine and Psychiatry, and works as both a hospitalist and consult-liaison psychiatrist. As CEO, Dr. Alexander has implemented financial and operational initiatives to position Inpatient Specialists for regional growth. He has led practice-wide efforts to standardize systems of hospitalist care to ensure safety and quality in an evidence-based manner. In addition to his clinical interest at the intersection of medicine and psychiatry, Dr. Alexander has a strong interest in physician education, risk reduction, and accountable care. In his spare time, Jude enjoys travel, soccer, and fishing.